Last week we were away on holiday in Poole. 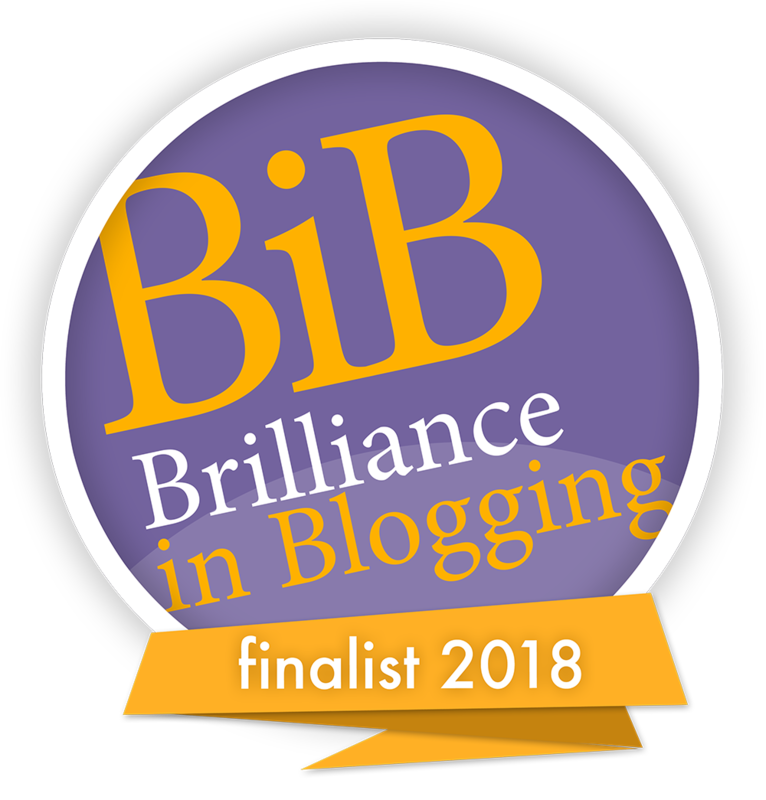 We visit every year and absolutely love the area, there is so much to see and do in Dorset and despite the fact that I have taken probably in excess of 30 holidays and lived there for four years I have never yet grown tired of it. I've now visited most of the main attractons of the area and some call you back time and time again and others are a once only visit. 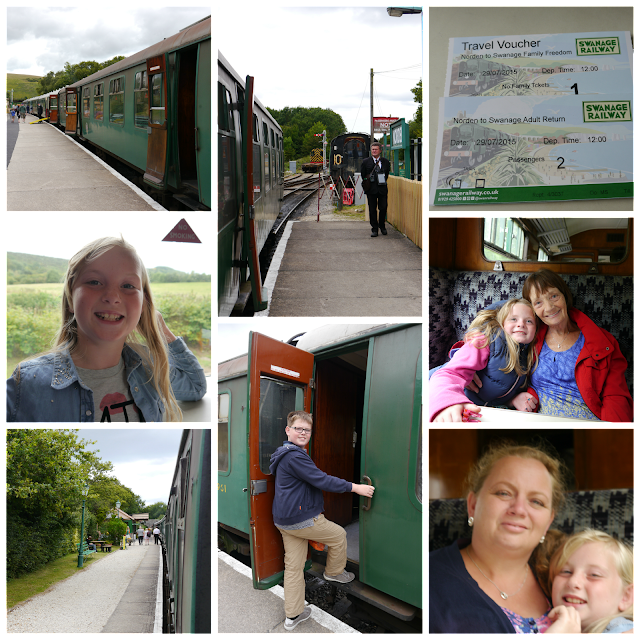 On this holiday my family and I travelled on the Swanage Railway, which was a first for us and I can honestly say it won't be a last. 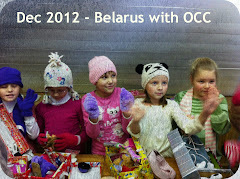 What a nice addition to any family holiday, it is like a little trip back to the past. 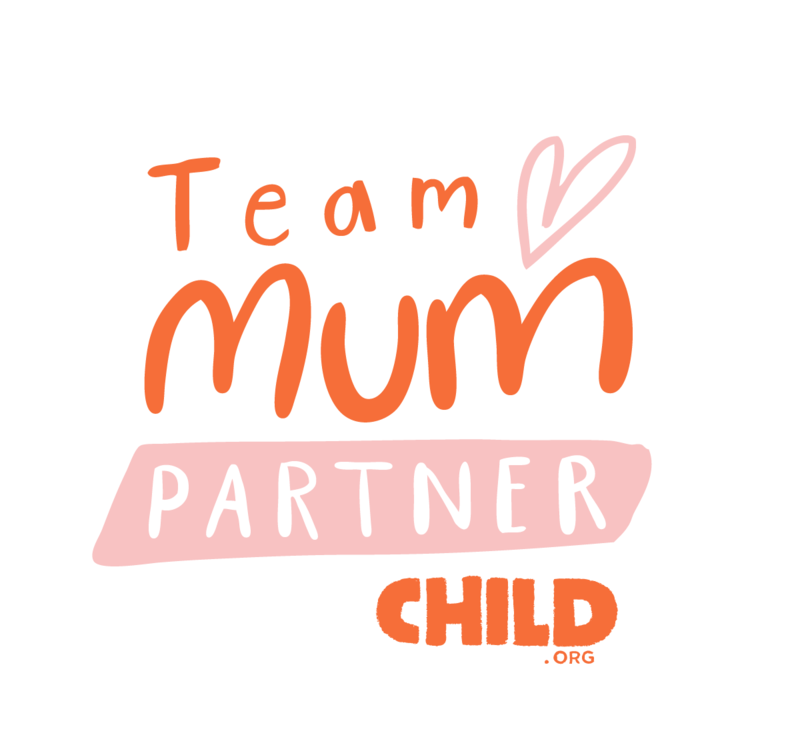 I chuckled as my kids looked horrified when they realised that the train door could be opened as the carriage moved (of course we didn't and you wouldn't) but it got me talking about my college days and jumping on moving trains - ekk! We drove from Poole to Norden on the A351 and it was an easy 25 minute drive. Norden is a 350 space park and ride facility run by the local council. It costs just £3 a day (make sure you have change) to park there and it is beautifully maintained. 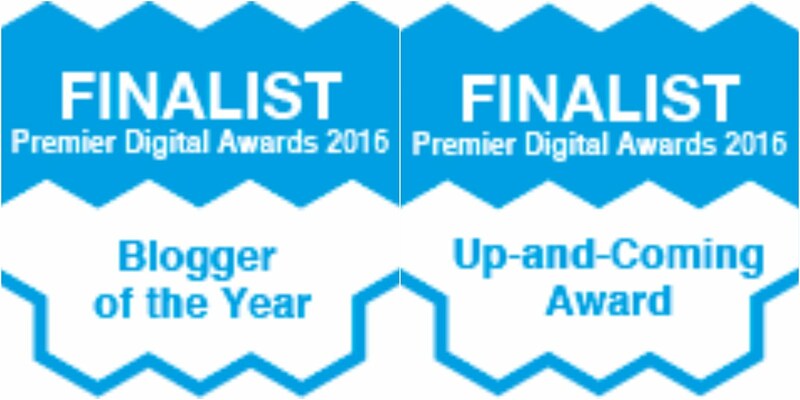 There is a small play park, toilets and changing facilities. You can easily take some beautiful walks from there or you can even hire cycles and go and explore all that Purbeck has to offer. 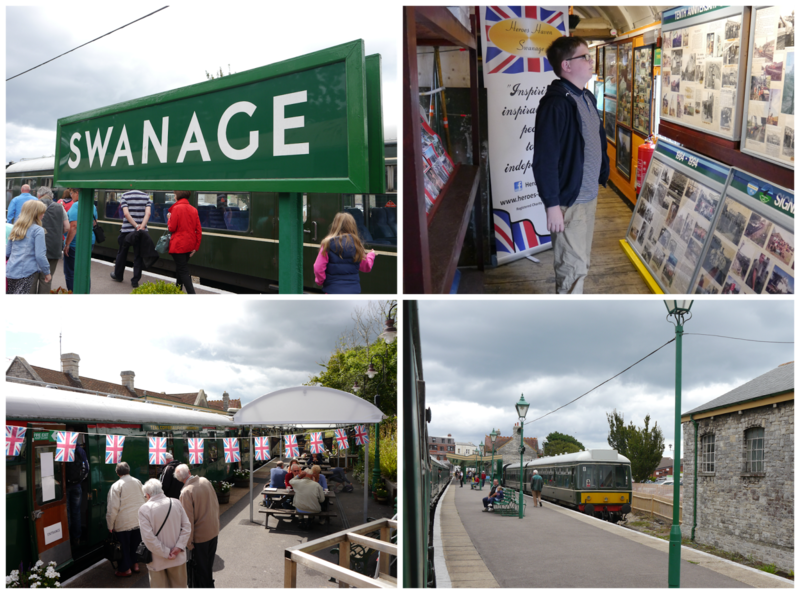 We of course were there to ride the Swanage Railway which is right on-site. The railway is mostly manned by volunteers and to be honest I could see this as it took a bit of time to get my tickets and then there was an error and I had to go back for an excess fair but I cannot fault their friendliness or desire to be helpful. The train station is beautifully maintained and if you arrive with time to spare you can enjoy a cuppa or light bite in the old train carriage buffet, it looks very quaint. There are a number of different trains working and we rode in three different ones and it was great to see the differences. You could see the old first class and standard carriages and on one we saw people travelling in the luggage carriage which again led to stories from me about my college days! This guards carriage is used for transporting buggies (which ideally should be folded down) those in a wheelchair and bikes and it is available on a first come, first serve basis. All the trains we travelled on had tables and this meant you could spread out a map, enjoy a drink or even play a game of cards. It was easy to keep the kids entertained when there is lots to look at outside the windows and the time between the four stations is minimal too. A single journey from Norden to Swanage is 25 minutes or you can take a round trip, which will be about 1 hour 10 minutes. We opted for a Freedom Ticket which meant we could travel as much as we liked within one day. I would definitely recommend going for this and making a whole day of using the railway. You can stop at each station and experience a country walk, seaside experience or the beautiful village of Corfe and the National Trust Corfe Castle. A family ticket (2 adults and 3 children) costs £33 when you book online or £35 at the station and for a full day out I think this is great value. Swanage railway station is preserved to look as it would have in the 1950's and it is gorgeous. There is also a great display of memorabilia in an old train carriage, as well as another station buffet carriage and plenty of room on the grass for picnicing whilst watching the trains if that is your thing. 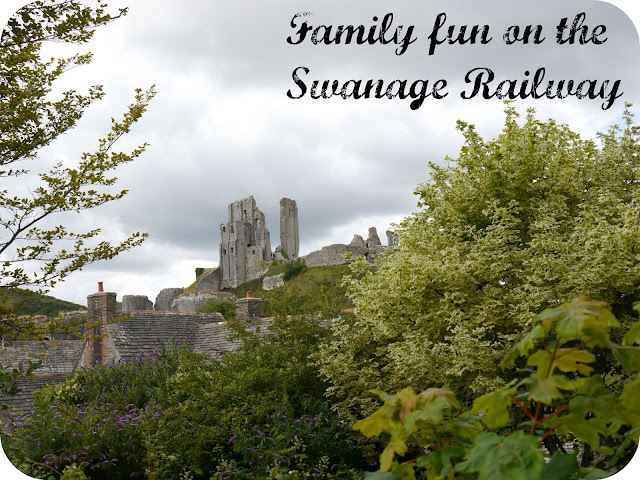 We have been to Swanage before and it is a fab little seaside resort, this does mean it can get very busy and that is all the more reason to take the train rather than sitting in traffic and trying to find a parking space. 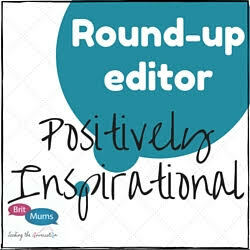 There is a nice beach, great fish and chip shops, loads of bakeries with yummy wares, Fortes home-made ice-cream (totally not to be missed), penny arcade, play park, small fun-fair, some shops and of course the gorgeous Durlston Country Park. You can really easily while away a few hours in Swanage. 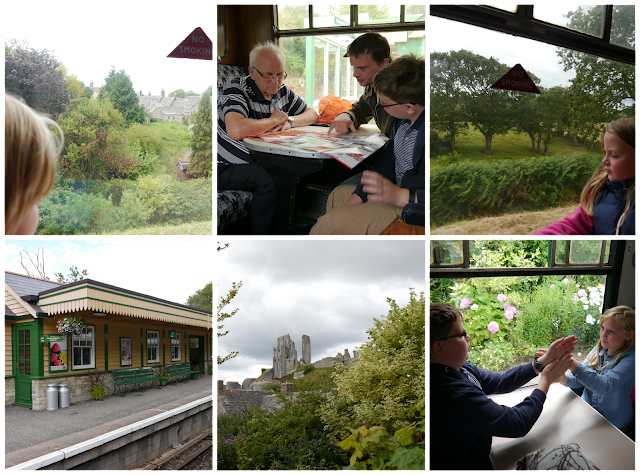 In all we had a lovely time riding the Swanage Railway, it was a real highlight to get off at Corfe Caste on the way back and to send a couple of hours at this historic site (post to follow). As we were so busy visiting Swanage and Corfe we didn't get to visit the free Swanage Railway museum at Corfe Castle nor the Purbeck Mineral and Mining Museum at Norden but I'm sure we will get to look around these next time. There are some really great special occasion journeys like at Halloween and Christmas. I was also particularly impressed to see that a family (2 adults and 3 kids) can take a return journey for the Swanage fireworks for various dates over the summer for just £10. You can even experience being a steam train driver if that is your thing and you have a spare £245. As well as trying out the railway two of my children were trying out some new GORE-TEX® Legero Tanaro shoes. Legero are not a brand I have heard of before but as soon as I saw they are German I just knew they were going to be good. Actually I found out that they are the pioneer in lightweight shoes and when you combine them with the world’s leading brand for waterproof, breathable membranes you get an awesome pair of shoes as you have the combination of both their innovative strengths in one piece of footwear. When I first opened the boxes and saw the shoes I wasn't too sure what the response would be from my kids but they both surprised me by declaring them cool and Miss M hardly removed hers from her feet for our whole holiday. JJ sadly had to as he had some rubbing and needed to wear a plaster and change footwear for a few days but he is back in his GORE-TEX® Legero's now and he looks so grown up and smart in them. Both kids put these shoes through their paces and they went onto the sand, dipping in the sea by the rock pools, climbing up castle ruins, walking through the parks and playing on swings and roundabouts. I'll share with you again in a future blog post how their shoes are holding up but at the moment we are all super happy and the shoes are performing well with whatever we throw at them. 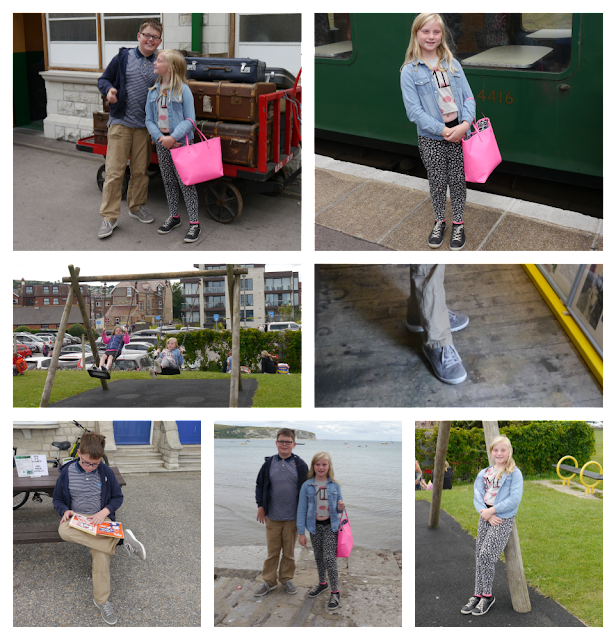 Here are a few pics of JJ and Miss M modellng their shoes and enjoying wearing them on our day out to Swanage. Disclosure: We received a family ticket for the purpose of undertaking this review. 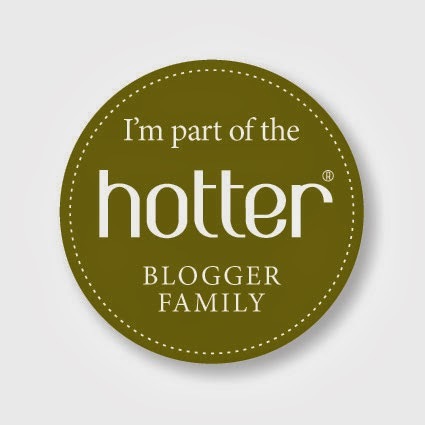 I have not been instructed what to write and I remain honest. I am also a GORE-TEX® Ambassador for 2015 and JJ and Miss M are happily trialing some of their shoes currently. As a Christian what do I stand for?